Network connectivity is the cornerstone of running a business. In particular, telecommunication companies have realized the critical role played by a good network connectivity in both the internal operations as well as their service to clients. Having said that, it is important for companies to gain a comprehensive understanding on the various benefits of good connectivity in their business enterprises. There are several reasons why a good network connectivity is important. To start with, a good network connectivity ensures that there is effective communication over a long distance via radio, telephone, and the wireless network. By extension, other equipment such as the use of video surveillance run smoothly without technical problems. Second, good network installation ensures that both the hardware and the software components of telecommunications are optimally utilized in order to ensure that there is maximum business performance. For example, fiber-optic transmission cables is commonly used in computer networking because it can be bundled as cables and is flexible. It is more common in long-haul optical data transmission. Similarly, the software components such as sending or receiving of email are very important in a company. Third, there are services that require high computer connectivity or else the company will experience a great task execution failure. For example, handling the switches that control the phone system require a good network. Similarly, providing internet access cannot be done with the use of good computer connectivity. In addition to that, some businesses prefer to have their private networks configured. Such tasks highly rely on a good computer network installation services and connectivity. Fourth, good network connectivity carries voice, video, and data in a secure and reliable way. In addition to that, there should not be limitations on the transmission of the same. Lastly, convergence means that computer hardware, consumer electronics, and the telecom sector are competing over almost the same products and services. By implication, there will be more competition among companies in the same industry. Consequently, each company has to stand out among the peers. There is no better way to stand out than ensuring good network connectivity. The value of a good network connectivity cannot be underestimated. In fact, it is the backbone of an organization. It is therefore important for the businesses to adopt a good network connectivity in order to comfortably execute their daily business operations. Similarly, telecommunications should always ensure that they have a good network connectivity. Cables form the medium through which transmission of data and information from one network device to another is effected. In some cases, a certain network can only utilize a specific type of cable while in other cases, any network can use any type of cable. It is important to be well versed with the various types of cables. To start with, coaxial cables are the most common types of cables. They were invented in the 1880s and were used to connect the television sets to the home antennas. They consist of an inner copper wire of varying thickness that is surrounded by insulation and other shielding. Installers have to be aware that their thickness can cause a lot of difficulty in installation and the maintenance of thinnet and thicknet. Second, the twisted pair cables emerged in the 1990s as the leading and preferred cabling standard for ethernet. They include cat 3, cat 5, and cat5 e. The twisted pair cables are available in two main types: Shielded Twisted Pair (STP) and Unshielded Twisted Pair (UTP). Most modern ethernet cable applications use UTP because it is more economical. Ethernet cable wiring is mostly used in the set up of local networks. Typically, they are used in the connection of routers to modems as well as computers. They are available in three main forms: cat 5, cat 5e, and cat 6. Third, cross over cables are cables which join two network devices which have some similarity in terms of type. It was more common a long time ago when there was a need of connecting two PCs. The need of cross over cables have been eliminated through the constant use of cables with built-in cross over capabilities. Lastly, fiber optic cable is comprised of a center glass core that is surrounded by a number of layers of a protective material. Instead of transmitting electric signals, it transmits light thus eliminating the problem that comes with electrical interference. It has proven effective in network transmission between buildings because it has immunity in lighting and moisture. Compared to twisted pair and coaxial, it can do signal transmission over a longer distance. In addition to that, it can carry information in a greater speed. Fiber cables come as multimode or signal mode. Different types of cables have different purposes and applications. It is therefore important that one makes an effort to differentiate them in order to do a professional work in cable installation and maintenance. Overall, becoming familiar with the different types of cables will help a client make an informed decision. It is not uncommon for communications providers to seek network repair services that will solve the problems and errors facing their systems. However, what is important is that a company should have a solid policy that will ensure that such a repair is done rightly, professionally, and in a timely manner. It is therefore important to understand the significance of good computer network repair so that individuals and businesses can make an informed decision concerning the same. There are numerous benefits of good network repair. To start with, a company can detect the equipment and systems that need renewal. This could be due to their old age or slow connectivity. This applies to both wire line and wireless communications infrastructure. 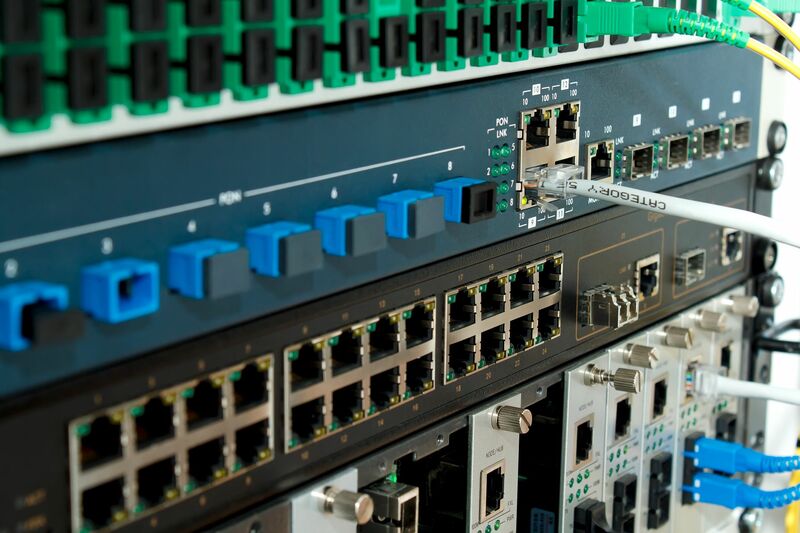 A network repair can help the company identify which telecom parts need replacement. If need be, an overhaul of the whole system can be carried out in order to help the company achieve higher efficiency and optimal performance. Second, network repair helps a company timely respond to a crisis. When the system is down, companies dealing with many clients often find themselves bombarded with a lot of calls from their clients. This is more applicable to companies offering high priority services. The speed at which the company does network repair could be the drawing line between retaining or losing its clients more so the loyal and repeat clients. Lastly, prompt network repair can help the company avoid further damage on its communications infrastructure. It should be noted that the deeper the extent of the damage, the higher the cost of repair. Moreover, the deeper the extent of damage, the more the time that will be taken to troubleshoot and repair the damage. It is therefore critical that the company makes a prompt decision and carry out repair as soon as possible. It matters who carries out the network repair service. It is important that any person who carries such a repair has the right credentials as well as certification. In addition to that, his or her company must be licensed to provide network repair services. He or she should also carry out all the tasks related to an efficient and complete network repair such as testing. Moreover, such a technician should have sufficient repair tools as well as capabilities. Overall, each business should give the issue of network repair the attention it deserves. Cable installation plays a very important role in enabling any communications infrastructure realize its full potential. This applies to both individuals and businesses. It is therefore very crucial that individuals and businesses make sure that it is done professionally and in the right away. Having said that, it is worth exploring the importance of good cable installation when it comes to communication solutions. There are several reasons why the right cable installation is important. To start with, the correct choice of the right cables is very important. A professional cable installer will evaluate your cable needs and give an expert opinion accordingly. This is because different cable installation needs will require different cable solutions based on various variables such as the nature of the communications infrastructure. For example, ribbon cables which are commonly used to connect parallel ATA drives to the motherboard can disrupt the airflow inside of the computers thereby slowing down the performance of the computer. Second, the structured cabling installation ensures that there is compatibility and uniformity throughout the communications infrastructure. In addition to that, it ensures that the installer follows the best practices that will ensure an optimal cable installation experience. Third, the right and professional cable installation should be able to reduce or even eliminate downtime. Moreover, it reduces the cost of cable maintenance in the long run. This is because if it is done right in the first time, it faces few cases of damage and therefore requires little maintenance. By extension, best practices in data cabling extend the lifetime of a cable system. Lastly, the right cable installation helps the client avoid the things that one should not do in cable installation. These include the following: never exceed the recommended cable radius, never exceed the recommended tensile load, avoid impact on the cable and do not crush the cable, high risk areas should utilize extra cables, and one should never ignore fire protection measures. It is very important that one does a thorough market research in order to identify the most professional agency for the cable installation. The cable installer in question should be certified, licensed, and competent. For example, he or she should be in a position to know the difference in installation that applies when it comes to glass and copper cables. Overall, cable installation is the backbone of an efficient communications infrastructure. The network infrastructure industry can be crowded with many professional agencies and individuals. Choosing the right cable installer can be an uphill task. Taking your time in the choice of the cable installer is therefore a matter of paramount importance. It is in this light that it is worth exploring the factors to consider when choosing the right cable installer. The first criteria that one should look at is the issue of certification. Certification helps an individual get the right skills, expertise, and knowledge when it comes to network cabling. It is also a proof that the cabling staff can meet the contemporary cabling demands. It also ensures that one has a perfect combination of a theoretical cabling framework as well as an efficient practical application. Most importantly, it delivers competitive advantage and confidence in getting the job done right. Second, the accumulated experience of a cable installer is a major factor in identifying the right cable installer. Providers of data and voice network installation, design and deployment should have had a number of cases that they have gone through that will further diversify their technical expertise. In addition to that, the installer should be in a position to explain to the clients about the various alternatives that are available in the market concerning cabling. Third, the right cable installer should have a stable financial policy. It is worth recognizing that the cabling installation is not static but fluid. Changes are likely to occur that will warrant more investment in time and resources. However, this does not mean that the installer should make cost changes as he or she wishes. Rather, he or she should come up with a stable price policy and a predictable cost schedule, a thing that will greatly benefit the clients. Lastly, the cable installer should have a comprehensive network warranty. In addition to that, it should explain what it covers and what it does not cover. Such a clear and explained warranty comes in handy in saving the cost of a company’s cable maintenance especially when things go wrong. There is no doubt whatsoever that choosing the right cable installer is one of the most crucial factors in choosing the right cable installer. Without it, the cable installation will be done wrongly and will cost the company more in terms of cost and time. Overall, the right cable installer is indispensable for an optimal cable installation experience. It is not uncommon for network connectivity to peak from time to time. In the worst case scenario, it can totally break down. There is no magic formula on the most appropriate way of maintaining high network connectivity. However, exploring the reasons behind slow network connectivity can help an individual or a business ensure an optimal connectivity experience. First, bad cabling has a great contribution to problems that come with hosting. Modern networks can ran at a high speed, but they are not immune to slow connectivity. It is therefore important to assess if the cabling was done right. For example, improperly crimped cables or loose ends will mean that the network connectivity will not be perfect. Similarly, using the wrong type of cable to connect the PC to the network jack could lead to slow connectivity. Second, a way of determining if it is the patch cable which is causing the slow network connectivity is through trial and error; replacing the cable and checking the quality of the network connectivity. One can also check the statistics on the network equipment and decide if there is any need for action. For example, excessive redundancy errors should prompt you to rethink the network connectivity and see if it warrants revamping. Third, it should be noted that many installation contracts carry a warranty. Therefore, clients should take advantage of this opportunity and have their network connectivity checked. The reason why it is important to seek the services of a reputable company in cabling is that one can always enjoy high quality services that carry a warranty. Lastly, poor or no maintenance can be the reason behind your slow network connectivity. It is important to develop a habit of a routine check up of your network even when the systems are working. This can help you identify a possible problem long before it occurs and thus save time and resources. It should be noted that any maintenance procedure should look at all components of the network system, both hardware and software. Network installation services determines the speed at which one is able to accomplish a certain task. Thus, slow network connectivity is expensive and time wasting to the network users. They also mean that the network equipment gives a poor quality work. Overall, checking network connectivity helps the user to become more efficient and save time in any task. One of the most important things in a data center is ensuring that the critical information systems are protected and secure. Virtually, there should be a zero threat of authorized access. Moreover, the data center should have an effective role in data receipt and dissemination. It is in this light that it is worth exploring the features of a good data center. There are several features of a good data center. To start with, all critical components should have both a primary and secondary backup. Such measures can be executed through having conditioned UPS electricity, redundant feeds, independent substations, and multiple on-premise back up generators.